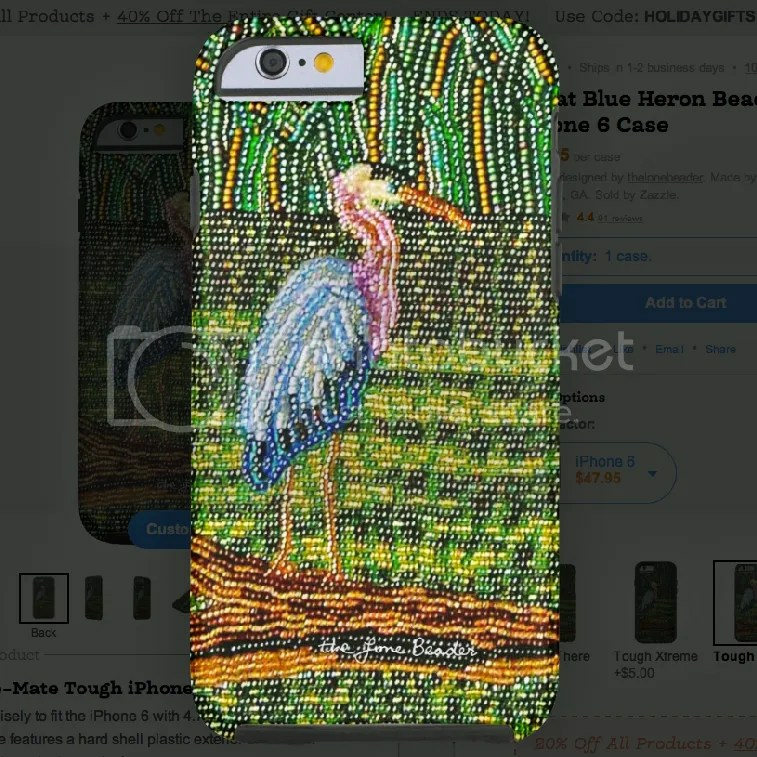 Now available for sale in my Zazzle shop– iPhone 6 cases featuring a print of my beaded Great Blue Heron. Currently, this is my most popular Zazzle design. View the original beaded painting in my Etsy shop HERE. 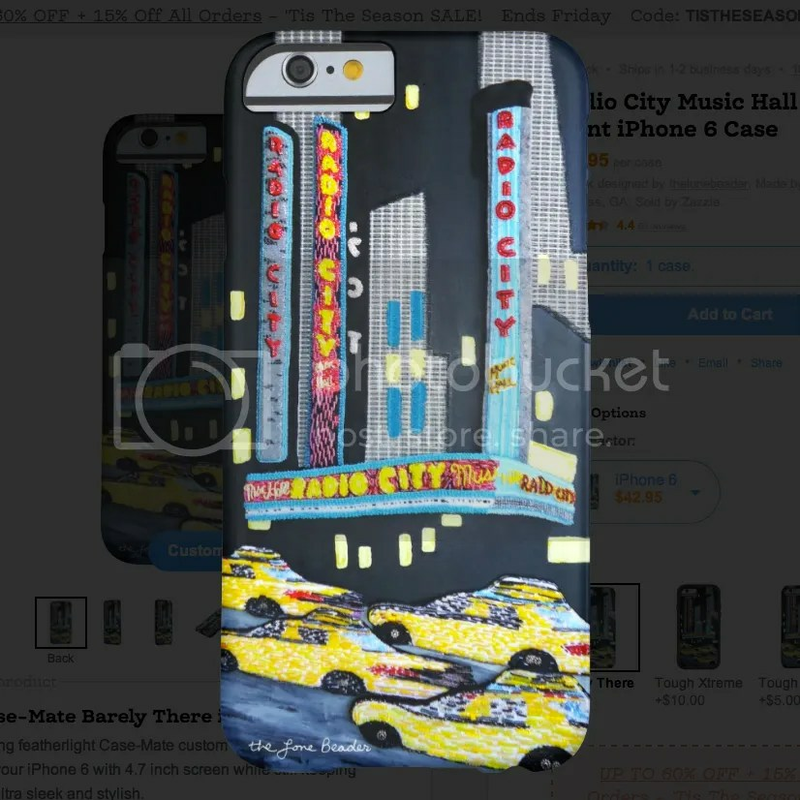 I have also created iPhone 6 cases featuring a print of my beaded Radio City Music Hall painting. Click the pic to view Radio City items on Zazzle.